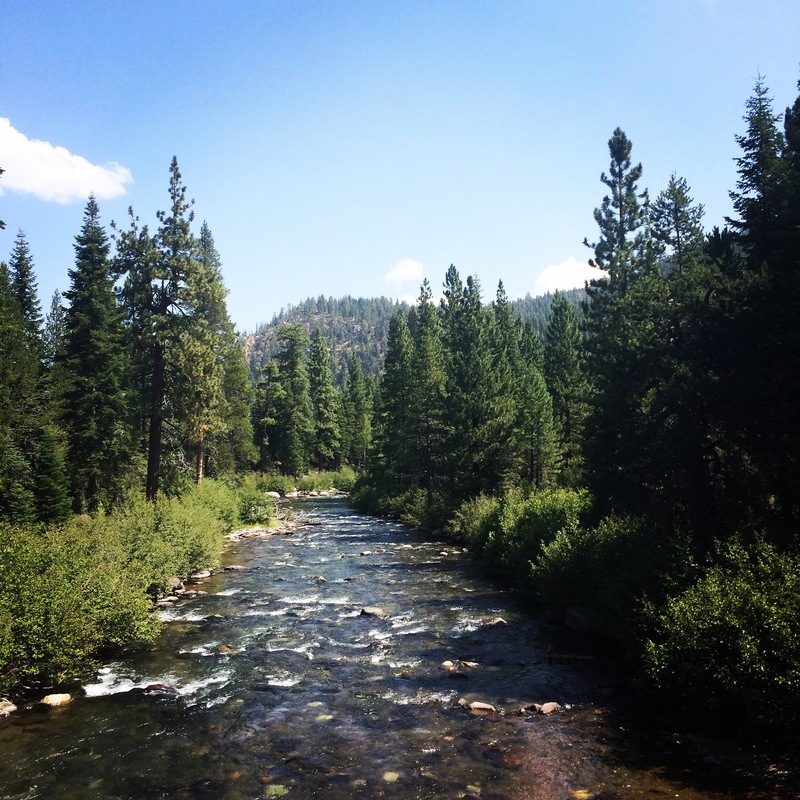 Our trip to Lake Tahoe was fun and filled with gorgeous scenery (it was also eventful – Jesse will provide a recap of his experience later this week). One thing that wasn’t so fun? Running at elevation. 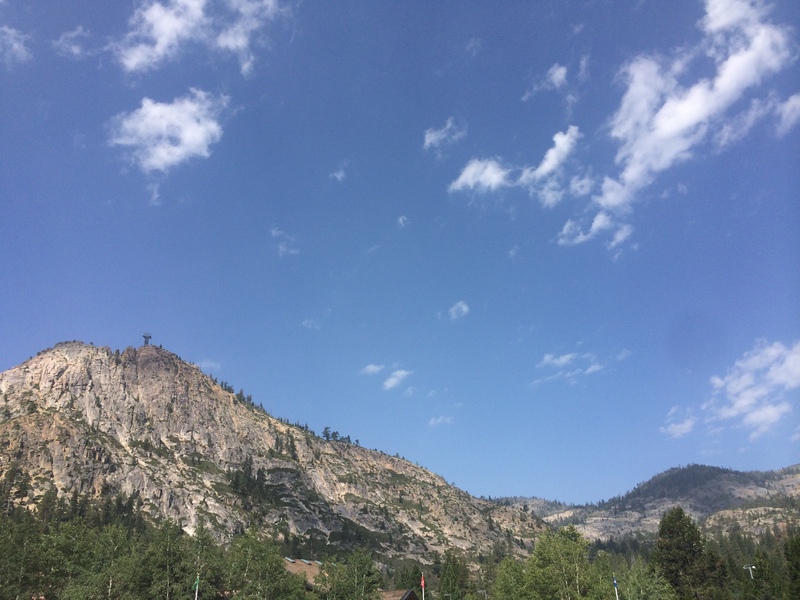 While Jesse tackled 16 miles with his Ironman Lake Tahoe training group, I set out to run between 8 and 10 miles in my new Altras along the same trail in Squaw Valley where the Ironman group was training. 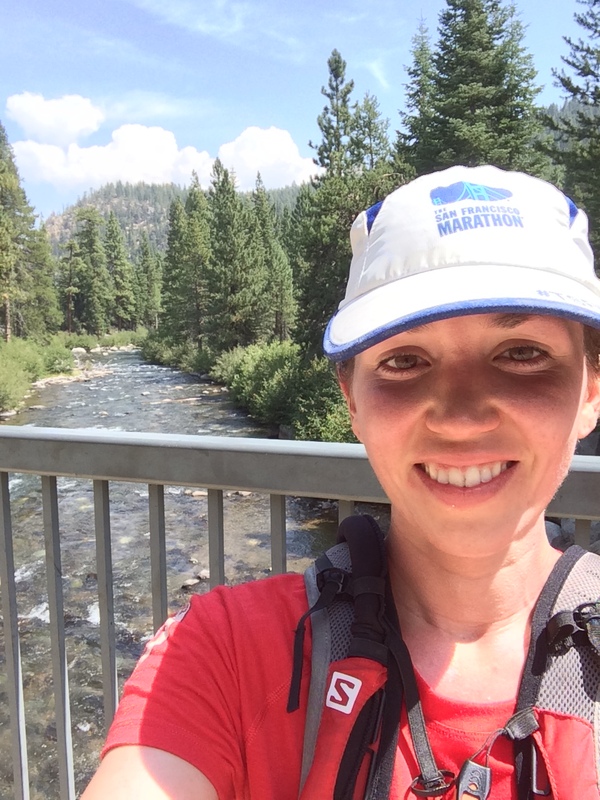 After a very short run on Saturday and a swim in Lake Tahoe earlier on Sunday, I knew that the 6,200 feet of elevation was going to negatively affect my run. I’ve never exercised (or skied, snowboarded, etc.) at elevation before, and Jesse had warned me about how difficult it can be. As I ran, the air felt thin and dry, causing my nose to run precipitously. I gasped for breath during the entire run, taking me back to the days when I first started working out, and I was completely uncomfortable until about mile five, when I felt a little more warmed up. My slow pace of 10 minutes/mile felt like a herculean effort. I definitely know what I’m getting myself into during our weeklong trip next month leading up to Ironman Lake Tahoe. Never mind the elevation issues. The views are gorgeous!!! One of the few places in the US I haven’t visited that I need to. Thanks for sharing! Agreed! Hope you can visit one day. Crazy! But good to know that I’m not alone. That race sounds so good! I’m going to have to look into that for next year. Awesome pics! I have enough troubles breathing now, elevation would flatten me. Great job getting through it! Thanks! It was so tough! I have a race at elevation in a month. Near the slopes, Brighton, Utah. Glad you enjoyed. Exciting! We’re also running a race in Utah (North Face in October). A few years ago, a group from work here did the Colorado Relay – a 170 mile run over four passes. The altitude over the passes approaches 13,000 to 14,000 feet in some places. No matter how good shape you are in at sea level, it takes your body a significant time to acclimate. I found that when I was running extremely slow due to the atlitude, I started to hike fast. It was a welcome change and allowed me to keep moving until I started to feel a little better. Very normal at that altitude no matter how good shape you are in. Wow, great insight. So 14,000′ is twice as difficult as 6,000′? I’m excited to be there for a week next month to try to get acclimated. Couldn’t agree more!! I could barely breathe.